Remember Of Mice and Men? Poor Lenny petted things to death. So sad. I forget who played Lenny in the movie but he always reminded me of someone I knew and that made it even sadder. Yesterday, I met Lenny and it might have been the most exciting moment of my summer. Probably the most exciting moment of this year. You can clean a girl up and stick her in a pretty dress, but she can't help it if a skunk just hops into her arms, can she? 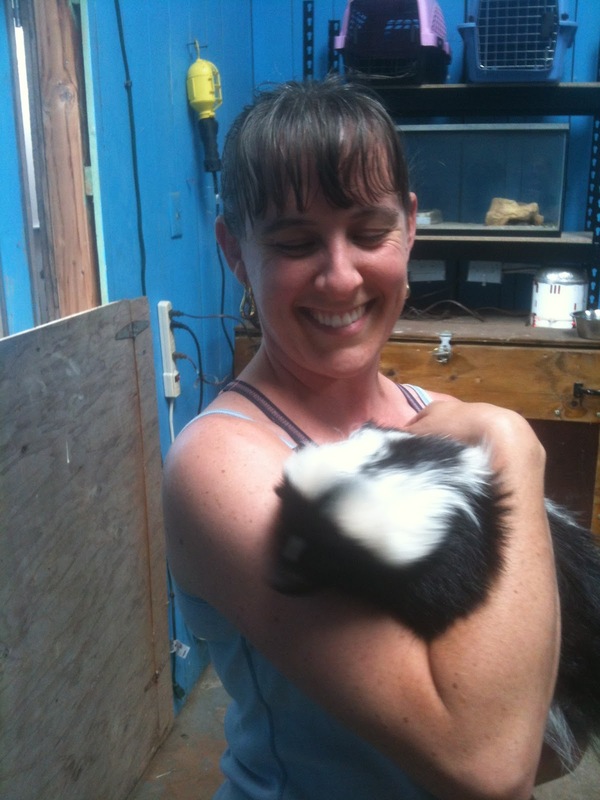 I know most people think skunks are menaces, and I hate the bitter smell, but I have always been fascinated by their little faces! And now that I've seen one up close, I'm even more fascinated! It was John malkovitch. One of my favorites. Was it stinky? It is cute though! And you do look ever so pretty! NO, hs stinker was removed. 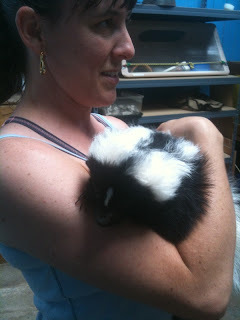 I remember people saying when I was little that even when they are destinkified, they still have a skunk smell. They have a smell like any caged animal gets, like ferrets, but not skunky smelling.